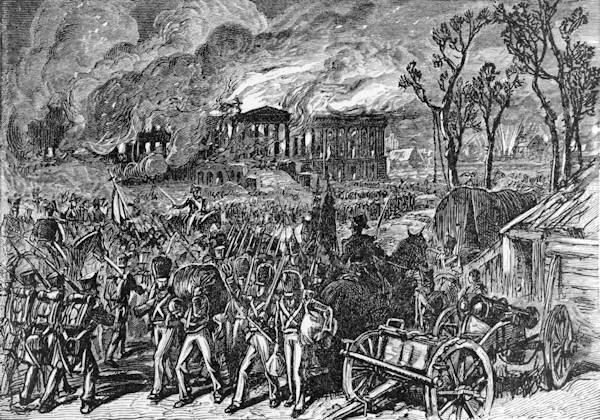 WASHINGTON, DC -- The burning of federal buildings in the nation's capital 200 years ago this week was a psychological victory for the British, but little else, according to an Army historian. The Chesapeake Campaign, which ended with the Battle of Baltimore in September 1814, was really a diversion, undertaken by the British to draw the Americans away from the campaign in Canada, said Glenn Williams, U.S. Army Center of Military History. 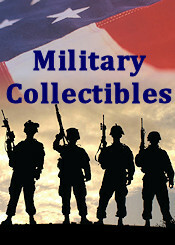 Williams said the War of 1812 was, by-in-large, a success for the U.S. Army, given the circumstances leading up to the war -- meaning a small Army (described in part one of this three-part series). The pre-expansion Army was well-trained and well-led. The problem came in trying to expand from a 6,000-man force to a 35,000-man one, starting in the spring of 1812. At the beginning of the war, many units were not well-trained, but improved over time, he said. "I think it is important to note that the U.S. Army had proven itself equal on the battlefield by the summer of 1814 --- as evident with the Battles of Chippewa, Lundy's Lane, Fort Erie and Plattsburgh," he added. Besides wanting to defend Canada from further invasions, the British were planning their own counter-invasion of the U.S. from the north, Williams said, and raids around Chesapeake Bay were designed to divert U.S. forces. The British fleet sailed up and down the Chesapeake Bay and Potomac River, as well as numerous inlets, raiding settlements and blockading vessels. The largest of these raids took place beginning on Aug. 19, 1814, when Adm. George Cockburn and Maj. Gen. Robert Ross landed upstream on the Patuxent River, in Maryland. The combined force marched north toward Washington, D.C. A squadron of barges went up the Patuxent parallel to the army as far as it could, Williams said. The six-ship squadron that sailed up the Potomac was primarily a supporting attack or diversion, and with a secondary mission to evacuate Ross' army if its retreat had been cut off. The "fleet" itself had to stay in the deeper water of the Chesapeake and lower Patuxent. Secretary of War John Armstrong didn't think the British would attack Washington, which was of little strategic, military or economic significance compared to the much larger and wealthier port city of Baltimore. As such, Williams said, little to nothing was done to prepare the city's defenses. On Aug. 24, the British land forces of around 4,500 arrived just outside of Washington, D.C. at Bladensburg in Prince George's County. There, they were met by some 6,500 militia and 420 regular Army troops. It would seem that with the British outnumbered and far away from home turf, they'd stand little chance of success against the Americans, who were defending their capital. That the militia was a well-trained, strategic reserve is a "myth," Williams said. "Some were well trained and did very well in battle, but most did not." And, the militia -- both regular and volunteer -- only became part of the "armies of the United States" when called into federal service by the president, he added. The militias at Bladensburg, and everywhere else in the U.S. for that matter, could be divided into two types, he said. The first were the common or regular militia, also known as the enrolled militia, he explained. These were made up of every able-bodied white male citizen, between the ages of 18 and 45. These units were organized regionally and their members might drill a couple times a year, if that, he said. They were not considered professional Soldiers, but if an emergency arose, they were an available pool of manpower that could be drawn from, either voluntarily or involuntarily, when necessary. These units were usually named after their company commander's name, like Smith's Riflemen. The second type were volunteer militia, from which the National Guard traces its heritage, he explained. These volunteers purchased their own uniforms and in many cases their own weapons, and drilled regularly. While not "professional," its members participated as an "avocation." And, the units were permanent organizations, usually raised by civic groups. Instead of being named after their company commanders, these units usually had patriotic names. The volunteer militia was by no means a Reserve of the Army, as known today. The National Guard, as it now exists, wasn't really organized as such until 1903, he added. The volunteer militia were state forces, with some being better than others. They could only be used within their own state by orders of the governor. The only time they could cross state lines was if they were "detached" by their states for federal service, when "called" by the president. In this case, President Madison did authorize them to do so. In the ensuing battle that took place at Bladensburg, the 175th Volunteer Infantry Regiment of Maryland acquitted itself well for most of the battle, Williams said. They are considered a descendant unit of today's Army National Guard's Fifth Maryland. That they performed well was attested by a British commander, who after crossing the Anacostia River with his men, wrote in a letter after the battle: "They checked the ardor of my men's advance," Williams noted. But, with little help from other American units, the British force eventually overwhelmed the 5th, overlapping their flanks and forcing them to retreat, Williams said. Their formation fell apart once the British started shooting them in the backs. The District's artillery militia company also did extremely well, taking a high toll on the advancing British, he said. When the overall commander, Brig. Gen. William Winder, ordered them to fall back, they did so in good order and were prepared to fight again. Besides having very little training and action under fire, there were some leadership issues as well, that led to the failure to hold Bladensburg, Williams said. The hastily crafted defenses ordered by Winder were as follows, he said. The first-line skirmishers, mostly sharpshooters, were arranged along the riverbank of the Anacostia. The second line was held by the Maryland 5th and two drafted regiments. This second line was in a position to block to the fork in the main road leading to Georgetown or Washington. The third line consisted of Sailors and Marines, along with some Maryland and D.C. militia and regulars. This is where things get interesting, Williams said. Wandering around the battle area were two figures of note, Madison and Secretary of State James Monroe, who would later become president after Madison. Neither were in command but their presence carried some weight. Monroe "took it upon himself to move one of the three Maryland regiments to a different location where the other two could not support them," Williams said. "His meddling probably did a lot to unseat Winder's plans, even though Winder himself was not a great tactician." And besides that, Monroe didn't even tell Winder what he'd done, he added. Monroe will reappear in part III of this series. There are numerous lessons learned there: "unity of command, interservice cooperation, and the importance of communications" on the battlefield being foremost, he said, noting that the Army did take these and other lessons to heart following the war -- except for disposing the myth of the overvalued militia. As for the regulars in the third line who were being recruited and trained for the 36th and 38th U.S. Infantry, Winder ordered them off the field of battle even before they engaged, Williams said. Their commander, William Scott, protested the order because he and his men were eager to get into the fight. At this point, the American lines of defense were breaking and Winder is said to have remarked that the battle is already lost. He then ordered the regulars and a militia brigade -- composed of two regiments from Washington and Georgetown -- to fall back to Washington, D.C., to form a new defensive line. However, Williams noted, he never told the other militia where to go so they took off for Georgetown or the Montgomery Court House. That is what the British disparagingly call the "Bladensburg races." As for Madison, he was there to "watch the battle," Williams said, and he almost rode into the British advance guard before being advised by Winder and his aides that it would be better for him to vacate to a safer area. But in any case, Madison is credited with being the first commander in chief on the battlefield under fire. With the crumbling of the defenses of Bladensburg, the road was now open for the British advance on Washington. The burning of government buildings in Washington, D.C. -- including the Capitol and the President's House, as the White House was then called -- was more a psychological victory for the British than a military victory, according to Williams. Although the buildings of government were destroyed, the government itself had dispersed around the area and would soon reform and regroup, under the leadership of President Madison. One significant Army installation in D.C. that was destroyed was an Army arsenal at Greenleaf Point, now called Fort McNair. Soldiers had thoughtfully removed the powder from the arsenal and lowered it into a nearby well. Somehow the British got wind that suspicious activity had taken place at the dry well, so it is said that a Soldier lowered a lantern down, or threw down a torch, see what was there. The gunpowder then exploded, killing a number of British soldiers, Williams said. Incidentally, another source has it that an officer threw his cigar into the well causing it to explode. After the explosion and a severe storm that hit Washington, the British withdrew to their fleet and prepared for an invasion of Baltimore, a much more important port than Washington, and many times larger and wealthier. It would be a real prize if the British could take it, Williams noted.